In a world where people try to take short cuts and accept mediocrity as a good standard, you can really stand out if you just put in that little extra. To be excellent isn’t easy but with a little effort you can get better in being excellent. 1. What Are You Good At And Like To Do? You need not be great at everything you do. We all have our weaknesses and strengths. Play up on your strengths first as these are easy to work with and it will allow you to gain the confidence you need to build upon other areas. Pick what you are already good at and like to do – as passion fuels your motivation to seek excellence. When you know what you are good at, you need to practice repeatedly at it. The experts called this “deliberate practice” which means you know what you need to work on and do it repeatedly. Practice allows you to hone your skills and expertise and this helps you to be excellent. You cannot expect to learn everything on your own. Just practicing itself will only get you so far. In addition, get someone who is already an expert in your area to coach you. This person should be regarded by his peers as being an expert at it. A coach is able to show you where you have gone wrong and this feeds back into your deliberate practice cycle. That way you can get excellent at what you do. Knowing the above is not enough if you do not expect the best from yourself. You must remember, being excellent is about doing. So, you cannot just pay lip service to wanting to be great at what you do but do not start practicing and getting help. Once you decide to be excellent at what you do, then expect the best from yourself. Do not just talk about it. Do it. There is a tendency for people who strive for excellence. To be excellent at what you do is not being perfect, although that can be a good incentive. It is about being the best that you can offer. So, do your best and know how to take breaks. You need to rejuvenate and restore. Allow yourself to rest so you can come back stronger the day after. You cannot force yourself to do things just because you want to be excellent at what you do. Your effort must be a happy one which means you willingly do it. Forcing yourself to do certain tasks will not help as your heart is not in it. Of course there will be cases, when you are lazy and you force yourself to just get it done. 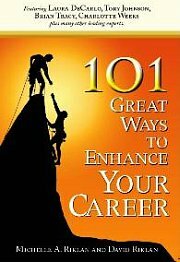 That is why ,a href="http://www.career-success-for-newbies.com/rediscovering-your-career-passion.html">passion is important. When you have passion, it will make the effort enjoyable as you know the fruits of your pursuit is just a matter of time. Being excellent at what you do takes time. Hence, you must allow time to take its course. These are hours you need to clock in order to get the practice in. These are what some people refer to the rites of passage. It has to be earned. You cannot expect to be excellent at your work in a hurry. Being excellent at work takes time. It takes deliberate practice. It takes you to notice the details and the need for a coach. If you are happy doing what you need to do, you can eventually bring excellence to the workplace. For more articles related to being excellent at work, click here.